Large events and fundraisers can be a blast for your club, or they can be overwhelming. When complications threaten to derail your project, it’s time to call for help. For 21 years, the Asheville Kiwanis club in North Carolina has hosted its annual Biltmore/Kiwanis 5K/15K Classic. During the club’s biggest fundraiser of the year, 1,000 runners traverse the lush grounds of the famous Biltmore Estate, a U.S. National Historic Landmark and former home to three generations of the wealthy Vanderbilt family. In its early years, the event could be managed solely by the Asheville Kiwanians, but as its popularity grew, so did its demands. So the club began to hire race-management specialists. For this past year’s race, however, members decided to go it alone once again. For the 2019 Classic, club members have hired Glory Hound Events, an event-management company that specializes in endurance athletic events such as marathons, triathlons and mountain biking. Greg Duff founded Glory Hound in 2006. The former competitive swimmer transitioned to participating in endurance running events and triathlons. His company now produces an average of 17 such races each year. 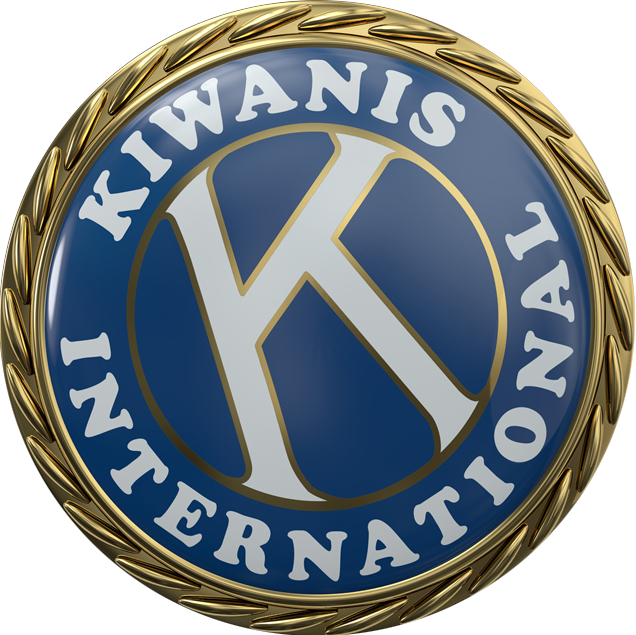 Like Asheville, many Kiwanis clubs rely on one major annual fundraiser to support a majority of their service projects. Also like Asheville, it’s common for an event to grow while the number of club members able and willing to help plan and run it remains the same, or even shrinks. That’s when a professional event-management company can come in handy. But the decision to go with a pro has its own set of considerations. Whether a club wants to launch a new type of fundraiser, make a current one more successful or get help with a longstanding event, its members should know one thing: Hiring a professional management company doesn’t mean everyone else gets a pass. Many event-management professionals don’t handle the actual fundraising. They won’t show up at your first meeting with a list of sponsors willing to sign on the dotted line or donors eager to write checks. They most likely won’t recruit volunteers for the event either. What a professional can do, however, is take over certain time-consuming demands: hiring and working with vendors, marketing, and/or addressing key details (like Asheville’s water jugs and public safety officials) that you might overlook. Tori Gaines, a member of the Kiwanis Club of Issaquah, Washington, has worked on the club’s fundraisers for 26 years, including an annual auction. Five years ago, she and a fellow club member took on an additional event, Boots, Barrels & Brews, featuring line dancing and tastings of food, wine and beer. Club members decided to focus on getting assistance with vendor services and promotion. Gaines reached out to a woman who does event planning as a side business. Likewise, years ago Gaines hired a company specializing in auctions to provide an auctioneer and handle details on the day of that fundraiser. It saves members from the frazzle of running the event itself, but still allows them to do all the planning. A pro also can help you refresh an event that has become less successful as the years progressed. An experienced management company sees plenty of trends come and go. What worked as an approach or theme a decade — or even three years — ago won’t necessarily continue to bring dividends today. And while actual fundraising might not be offered, some event-management companies will coach you on how to do so more effectively. Shattuck and her business partner offer workshops that help participants fine-tune their approach to making “the ask” for a fundraising event, whether it’s for a sponsorship or a major donation. If your club decides an event could benefit from bringing in a professional, know that it will be an investment. Your cost will depend on the size of the event-management team, the depth of what you would like its members to handle and the type of fundraiser. Hiring an individual to work with vendors or handle social media obviously won’t be as expensive as contracting with a company to plan and run a 10K. Before you begin your search, determine how much you can spend. What are your priorities? What parts of your event would benefit most from a pro’s help? What have your members most successfully handled in the past? “The more focused you can be on what you want from the situation, what you’re hoping to get in return, that’s incredibly helpful,” says Shattuck. An Internet search can help you find individuals and companies that manage fundraising events, but you’ll want to narrow your number of candidates. Experience with the type of event you’re hosting is crucial. A management company’s website will list past and current clients; contact a few who have held similar events and ask them about their experience. Think of events that you have enjoyed and find out if a professional managed them. Better yet, go to such a fundraiser yourself. When Asheville’s Stavish, an avid runner, was looking for someone to manage the 2019 Biltmore/Kiwanis Classic, she remembered that she’d always been impressed with how races unfolded under the direction of Glory Hound Events. Don’t limit your background research to guests of the event. You’ll also want to know how effectively the event manager worked with suppliers, vendors and other key partners. Once you’ve selected a candidate or two, schedule a personal interview to discuss your budget and priorities. “Ask them, ‘What are your methods? What is the scope of what they can do? How much does it cost to do what they’re talking about? What pieces can you give me for (my budget)?’” advises Shattuck. Also keep in mind that you and your club members will spend a lot of time with the individual(s) you hire. Make sure you’re a comfortable fit on personalities as well. When you’ve made your selection, a written contract should list in detail what will be handled by the event-management company and what will be done by your club members and volunteers. Stavish also maintains a spreadsheet listing every element of the Biltmore/Kiwanis Classic and who is responsible for each. This helps to prevent tasks from going undone and keeps pros and club members from unwittingly duplicating efforts. Your contract should also spell out how the event manager and the club will communicate during the planning process. Will you hold regular meetings or handle most things via conference calls or group emails? The Asheville Kiwanians and Duff plan to meet monthly at first, then increase to twice monthly as the event nears and weekly during the four weeks leading up to the Classic. If you find you want to meet more often than your contract states, expect to dig deeper into your club’s funds. With the right professional(s), a solid contract and good working relationships, however, a club can roll out an event smoothly and successfully, without running members ragged in the process. Not only can that help increase dollars raised, but it can attract new attention — and possibly members — to your club. This story originally appeared in the October 2018 issue of Kiwanis magazine.